GULFPORT, Miss., Aug. 2, 2010 -- Northrop Grumman Corporation (NYSE:NOC) Shipbuilding's facility in Gulfport, Miss. 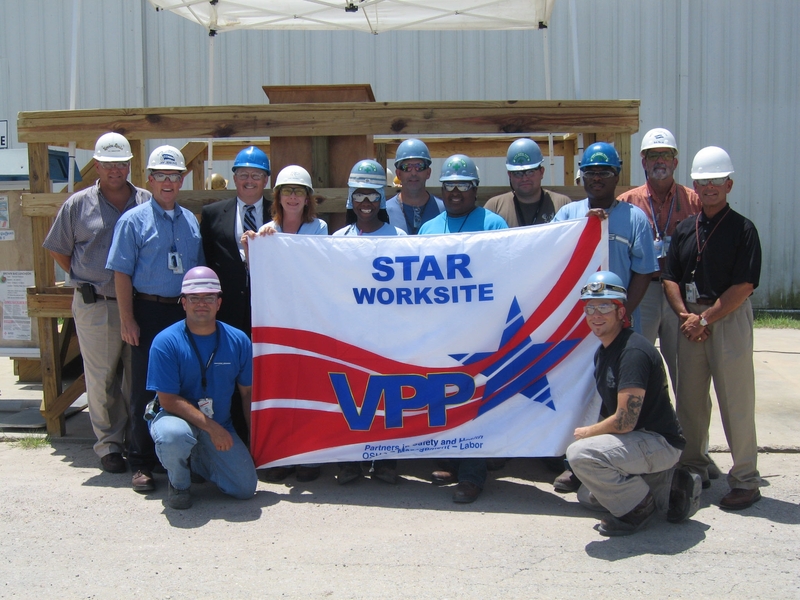 has been recognized for exemplary shipyard safety and received "star" status in the U.S. Occupational Safety and Health Administration (OSHA)-sponsored Voluntary Protection Program (VPP). "It's great to see such a positive environment where everyone works together cooperatively for safety and health," said Payne. "This is the most prestigious level of safety and health recognition worldwide. Star status recognizes that the injury and illness rates are below industry average.Â It is a magnificent accomplishment. Now the shipbuilders must continue to move forward to help others in the community and to set an example for safety and health."